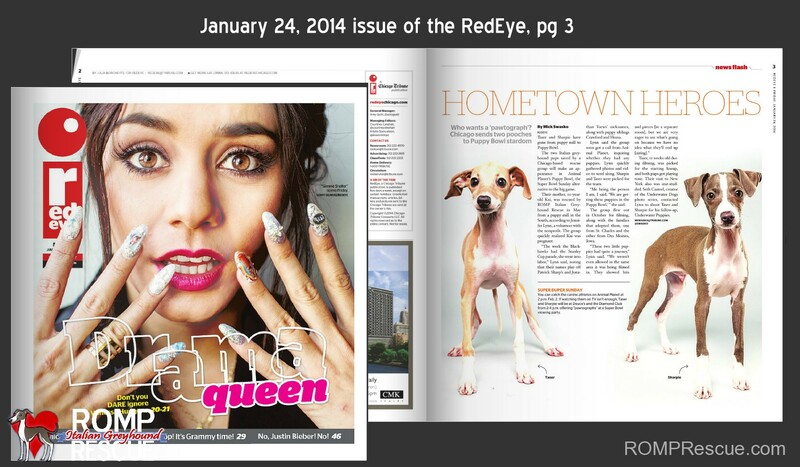 This is the ROMP Press Room, browse below to see where we were in the news and some of our recent press releases! Taser & Sharpie make NBC News in Chicago! 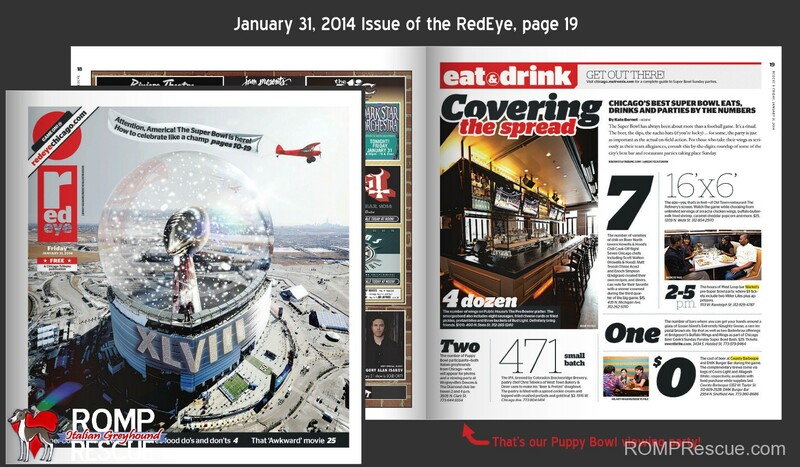 Articles in the RedEye talking about our Puppy Bowl Italian Greyhound players and our game day viewing party in Wrigleyville!